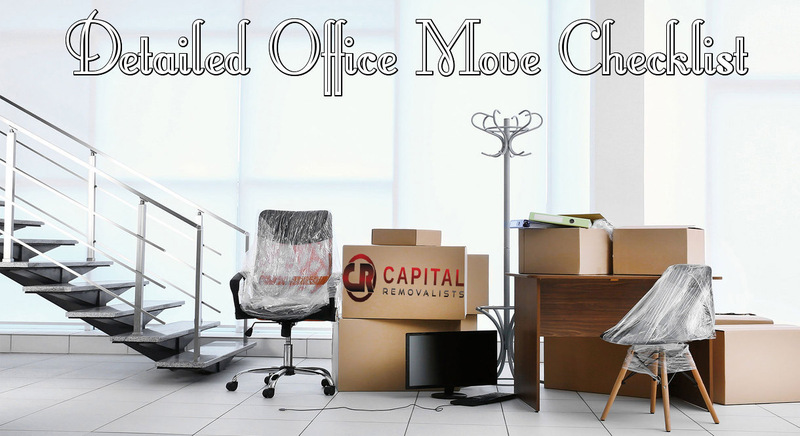 Moving your office can give you headaches if you don’t plan the move properly. To ensure you encounter no major hiccups during your office move, we have compiled a detailed office move checklist. Understand the floor plan of your office. More importantly, figure out the sitting arrangement in advance to escape chaos later. Don’t forget to assign a number to every desk. Numbering the desks sequentially is the best way to go about this, but ensure each department has a different number range. For example, if your admin department sits separately in one area, number their desks from 0-50, your marketing team can have 50-70, content team 70-80, IT team 80-100, and so on and so forth. People who have their own cabins should be assigned a number as well. Again, the best way is to number the cabins in a sequential manner. Match the numbered floor plan with employees who will have their desk/office there. Name or number, whichever is preferable to you, the communal spaces. Sit down with your IT team and create a plan for moving servers. Work out a way that would ensure your servers are up and running when your employees come to the new office on the first day. To the Removalist Team – Ensure you forward them the copies of numbered floor plan of the new office in advance and call them up before the move date to make sure they have perfect understanding of the sitting arrangement. To Employees – Another important part of office move checklist is to give your employees clear-cut instructions regarding the packing process. Also intimate them about the cut-off time and inform them if anything is left unpacked by then, it will be discarded. To Employees – Send them a map of your new office, as well as the details regarding parking space and availability of public transport. Give your employees their allotted desk number. Instruct the employees to number their PCs, boxes, and furniture. It would be best if they stick the label on each item at the same place. Tape close or empty and lock the filing cabinets to make removing them easy. All cables, phones, keyboards etc must be put in plastic bags, which in turn should be labeled with the allotted number. Employees should take their office iPads and laptops home, instead of packing them with the rest of the stuff. Items to be used in shared areas like utilities rooms or kitchen must be labeled pretty much the same way. 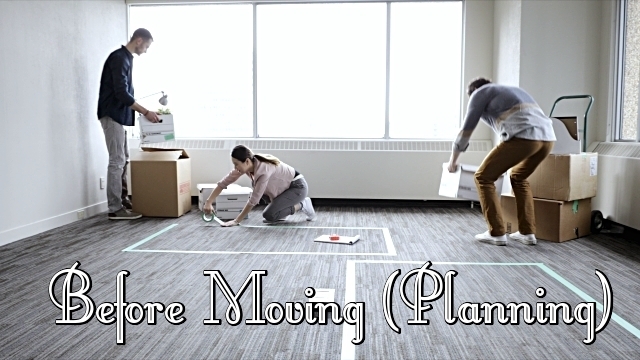 To make arranging items easy for the removalist team, you should post clear signs with directions to each part of the new office. For instance, “for numbers 100-150, turn left”. In case the desks need to be moved in, ensure you number every space so that the removalist team would know where each desk must go. Obviously, you must ensure beforehand that everything will perfectly fit in. An important point in office move checklist is to ensure that you have at least one employee at both your new and old office location. 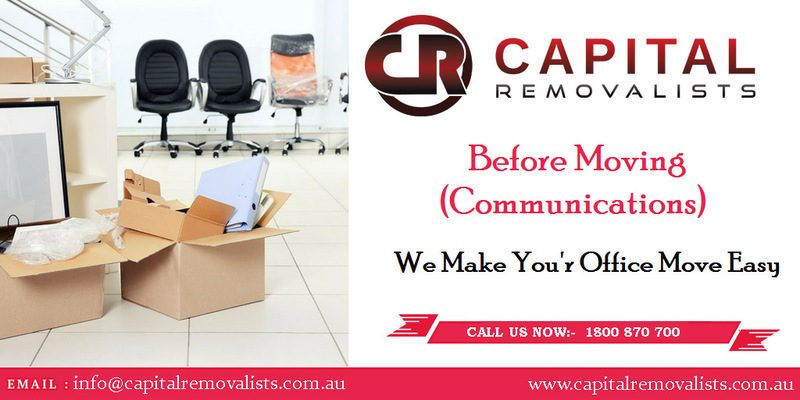 Usually during office relocation more than one truck is required, so therefore it makes sense to have at least one employee at the new location to give necessary instructions to the removalists and one at the old office to ensure everything is loaded up. It is best to instruct the removalists to work at a single area at one time, particularly if the building is sufficiently large. This makes giving instructions to the removalist team and answering their questions easier. Don’t connect computers and phones until all the stuff has been arranged in its rightful place. Usually this would mean that you wouldn’t be able to connect them until the next day. That’s why it is best to move your stuff on a Saturday so that you can connect your computers, phones, etc. on Sunday and ensure everything is up and running. This way you won’t experience any downtime when your staff comes to work on Monday. While you don’t necessarily need to include this step in your office move checklist, it is highly recommended to create personalized desk labels for each and every employee with their photo, name, and job title and put them on their desks. This simple gesture will make the employees all the more welcomed in the new office. For more helpful hints and guides to help your move go smoothly check out Guide for Hiring a Moving Company — or book your move with Capital removalists today.